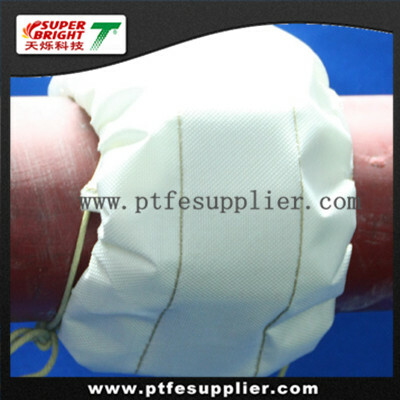 PTFE Flange Protector / PTFE flange cover / plastic flange protectors , which can resist leaking of hazardous high-temperature materials. 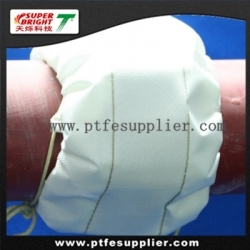 PTFE flange protector's Superior performance: Effectively reduce injuries of plant workers, avoid costly medical fee and damage of around equipments caused by the pipeline leaking; It will provide an instant, distant range and effective visible measure of pipeline leaking; Reduce the costs of Inspection, maintenance, leaking losses and fault of working. Accordingly it can avoid losses due to shutdown. 1. Weather Resistance ---- It is able to work stably between -60 to 260° C. It proved that the protector can be put in 250° C for uninterrupted 200days, but it won't reduce strength and loss weight. Even put it in 350° C for 120 hours, it just loses 0.6% weight. On the other hand, it keeps soft rather that chapping in -180° C.
2. Non-adhesive ---- The adhesive such as Paste, resin and paint can be removed simply.